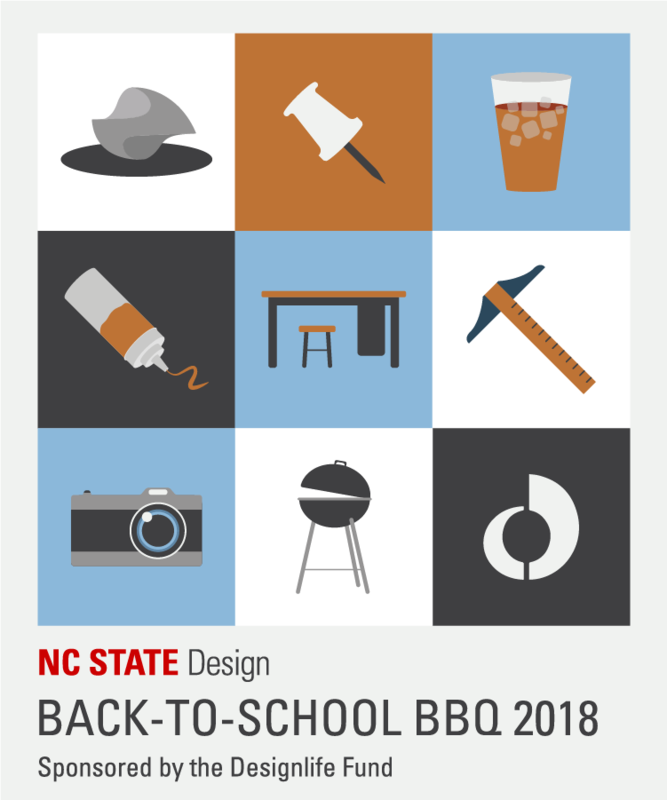 Alumnus, Ryan Williams [BGD ’18], utilized his talents and experience garnered from the College of Design to create the graphics and design system used for our annual back-to-school BBQ. This event is our traditional kick-off of the school year and a venue for students, faculty, and friends of the College to celebrate new opportunities. The event is supported by the Designlife Fund. Williams is giving back in a unique and resourceful way! RYAN: I believe that all College of Design alumni should be involved with the school in some way. It can be easy to forget where we came from, but it’s important to remember how the College impacted our lives and how we can impact the College by giving back. This is really important to me. During my senior capstone studio, we had a weekly talk with designers around the world, some of whom were College of Design alumni. As a student about to graduate and search for jobs, it was really encouraging to see Graphic Design alumni working on real-life projects and impacting the world. When I graduated, I knew that I needed to keep in touch with the College so that I could make an impact on students the way that alumni impacted me. 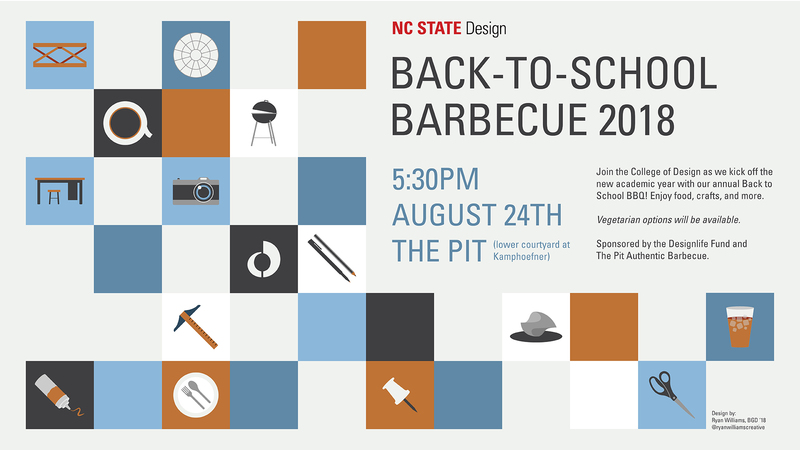 Helping with small projects like the barbecue is a great way to stay in touch and improve current students’ experience. The colors are pulled from a swatch that Ryan created using a photograph of Brooks Hall. There are elements in the graphic that are specific to the College, (Leazar window, Leazar wooden beams, The Egg, the College of Design logo, and the desk). Other elements are specific to students in general but very applicable to Design students (pins, scissors, t-square, tape and pens/pencils). Everything else is based on photographs from the College that Ryan took, including past BBQ events. Additionally, Ryan reached out to current and former design students to inquire about what elements were special or reflective to them from the College of Design. 3) It should have a system that could be repeated/utilized on other mediums and needs.